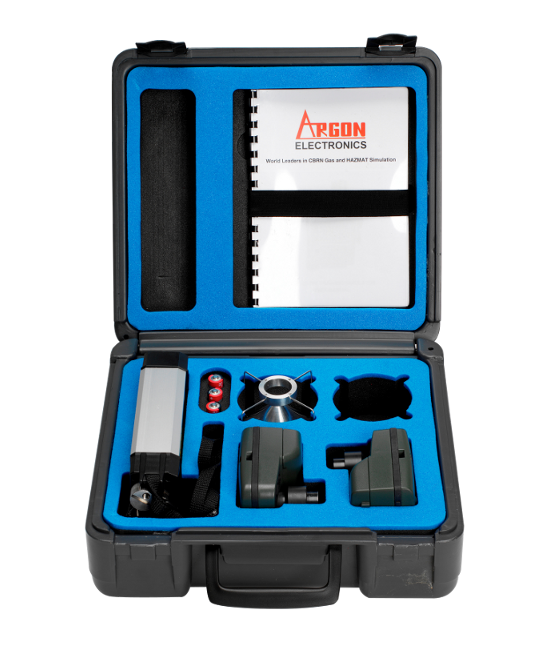 Argon’s RDS-200-SIM radiation protection training system is an extremely realistic radiation safety training simulator for the Mirion RDS 200 enabling your students to experience every operational feature of the real detector without the need for an ionizing radiation source. RDS-200-SIM responds to safe electronic sources that simulate ionizing radiation, removing regulatory, environmental, and health and safety concerns for you and your students. You can use the simulation sources anywhere, including within public buildings. RDS-200-SIM permits radiological incident instructors to safely teach critical search, reconnaissance, survey and location skills as well as a practical understanding of inverse square law, isodoserate mapping, shielding and safe demarcation. Whilst the RDS-200-SIM receives an encoded signal representing specific gamma emitting radionuclides from deployed electronic simulation sources, the compatible GMP-11-SIM responds to fluorescent powder and liquid materials that simulate beta sources for training in contamination, cross-contamination and decontamination. 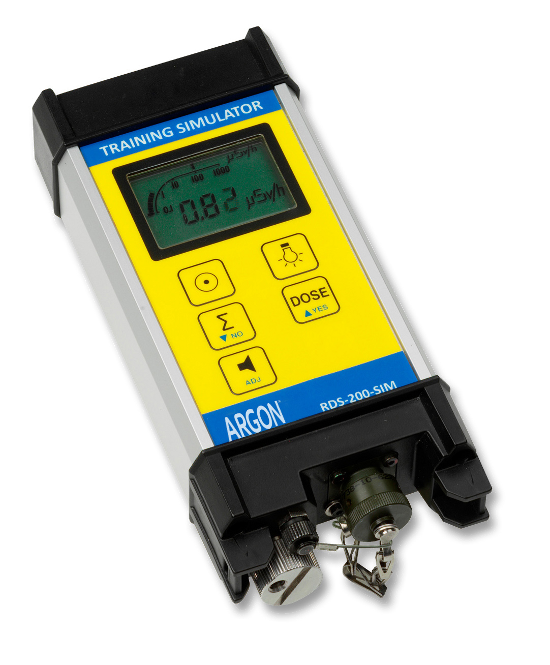 Argon simulation systems enable realistic simultaneous training in the use of different types of radiation detection instruments. RDS-200-SIM is compatible with other dosimeter, survey/radiac meter, and spectrometer simulators manufactured by Argon Electronics, permitting multi-detector, multi-isotope training to take place within the same scenario. You can even optionally include hazardous substance releases including chemical warfare agents to drive HazMat / CW simulation detectors. The RDS-200-SIM is also compatible with Argon’s PlumeSIM system. PlumeSIM enables real time instrumented wide area operational training exercises to be conducted using single or multiple simulation device types that respond in the real world to multiple virtual radiation or chemical hazard release events. RDS-200-SIM works on the same battery supply as the real dosimeter, which also powers the GMP-11-SIM when connected. 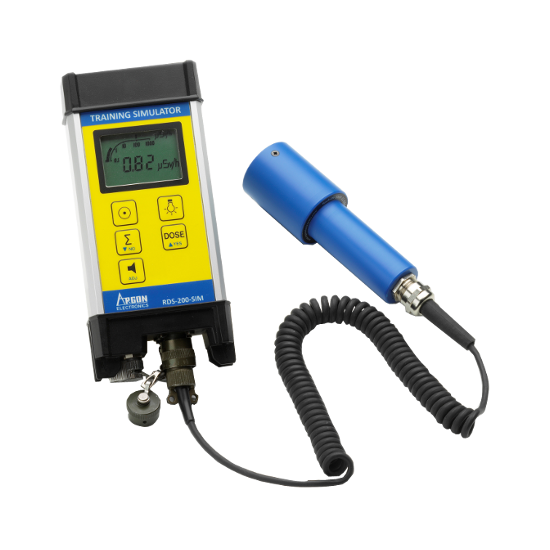 The simulators require no preventative maintenance or recalibration, reducing the cost of ownership. 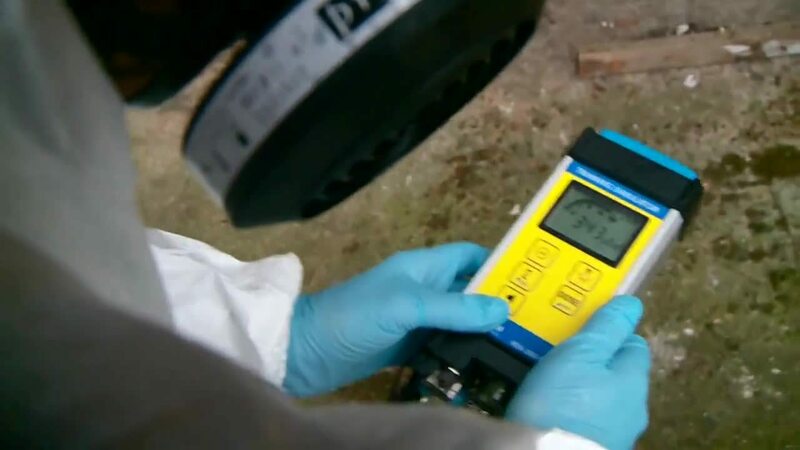 Expensive damage to real detectors is avoided which means operational readiness is maintained.